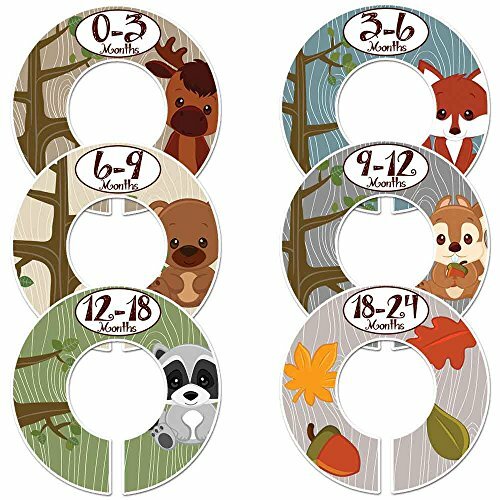 Closet Doodles C2 Woodland Animals Baby Clothing Dividers Set of 6 Fits 1.25 inch Rod by Closet Doodles at My Pregnancy Place. MPN: C2. Hurry! Limited time offer. Offer valid only while supplies last. These baby closet dividers will help organize any closet. Comes with 6 dividers that are double sided so they can be seen from either direction.